the beautiful county of Devon. We are a loving alternative to kennels in the beautiful county of Devon. Hello, my name is Lynda and I am the proud owner of the Devon Branch of PetStay. Our much-loved canine family consists of Charlie and Lottie, our lively Dalmatians who love their home comforts as much as their exercise, and our lovely old timers, Molly the Chocolate Labrador and Honey the Golden Retriever, who like to take things easy in their old age! Having owned and loved dogs all our lives, we understand the anguish that occurs when you book a holiday. You then turn your attention to your beloved 4-legged friends and wonder where to send them while you are away and who will love and care for them as much as you do. For this reason, we are delighted to bring PetStay Home Dog Boarding to Devon, enabling your dog to stay in a home-from-home environment, receiving lots of love and attention from an experienced Carer and enjoying a holiday of their own. We have a team of handpicked and experienced Dog Carers, who are fully insured and pass our rigourous checks. They have been vetted to ensure they meet PetStay’s and the Local Authority’s strict criteria for Home Boarding and very importantly, they are of course dog lovers. We cover the EX and TQ postcodes and would be delighted to find the perfect holiday home for your pooch, depending on his/her temperament and lifestyle. Your dog will live in the Carer’s home, with his own bed and toys and all his needs catered for. You may prefer your dog to go to a Carer with no dog of their own, or you may think that some doggie company would be nice for your best friend while you’re away. We endeavour to find the very best match for your pet. 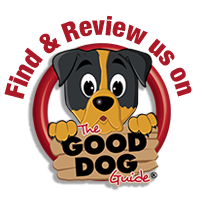 We gather a lot of information on you and your dog, finding out about your dog’s daily routines, foibles and quirky habits. We then match your dog to the best Carer for the needs of your dog. We arrange for you and your dog to meet the Carer in their own home, and if you wish to proceed with the booking, we guide you through the booking process. A carer is exclusive to you for the duration of your booking. We want you to have complete peace of mind while you’re away on holiday or on a business trip. If you love dogs and are at home during the day, have a very secure garden and no more than 2 dogs of your own, then why not consider joining our team of PetStay Carers in Devon. Please get in touch for an informal chat. We’d love to hear from you. To find out more or to arrange a visit to one of our carers in the Devon area, please get in touch using the details below. EX1 – EX39: Exeter, Exmouth, Sidmouth, Ottery St Mary, Axminster, Honiton, Cullompton, Tiverton, Crediton, Okehampton, Barnstaple, South Molton, Great Torrington and Bideford. TQ1 – TQ14: Torquay, Paignton, Kingsbridge, Newton Abbot and Teignmouth. Why not avoid the stress your dog faces in kennels and give them an experience of a lifetime with a loving PetStay dog carer in Devon. Here at PetStay we have hand-picked all of our carers to ensure that your dog will have the best care possible whilst you’re away on holiday, whether it be for a weekend or two weeks. We are the largest dog sitting service in Devon. PetStay offer a first class alternative to dog kennels – so you can be rest assured your dog will be left in loving hands. At PetStay we are adamant to provide a service far from that of dog kennels. Your dog will remain with the same caring pet sitter for the whole duration you are away and will be given the same treatment they would normally get at home, ensuring that our home dog boarding service is a far better experience for your dog than traditional dog kennels. Over recent years PetStay have gained an excellent reputation for providing pets a service second to none. We have become known as the local dog sitters in Devon. Our guidelines will ensure that your dog is left in the most trusted, loving hands possible and we are recommended across the Devon area, so if you would like peace of mind whilst you’re away on holiday give PetStay a call. Please call Lynda on 01392 984684 for a friendly and informal chat. You will receive a daily allowance starting from £13 per day. Do you have children under the age of 7? Our very lively Border Collie X Jack Russell, Poppy, stayed for the first time with Pamela and Michael recently. We received photos and comments during Poppy’s stay, and this gave us lots of reassurance so we could be away and know that Poppy was settled and well cared for during her stay. She looked happy and content on her walks out with Pamela & Michael, and we would not hesitate in asking them to care for Poppy again. We would definitely recommend them as pet carers. Shikar seems to have had a very good time on his hols, he seems to have enjoyed himself and was very much at home with Pamela and Michael. This was reinforced by the seamless way he settled back into family life. I have sent my thanks to the Carers and I hope when we go-away again we can call upon their services. It has been such a relief that Lynda at PetStay Devon has found us such reliable, kind people to look after Martha while we are away. Pamela and Michael provided Martha with a warm home, lots of affection and wonderful walks. Martha absolutely loved being with them and the whole stay was organised so professionally. Thankyou. My 3 dogs Polo, Teddi & Tess absolutely loved their stay with their carers. Thanks so much to Lynda at PetStay for organising such good care for them all. Highly recommended. We are most impressed by the Devon PetStay Service given by Lynda Price. Her efficient professional attention to detail made us feel very reassured about matching carers for our dog Skeeta. When we collected Skeeta from Pam and Mike after our holiday, it was obvious she had been very well cared for. They are a lovely couple who had clearly given her lots of love, time and attention with plenty of regular walks in the park and on the beach, which she enjoyed so much. A real home from home experience. We are very happy to use PetStay Devon and would definitely recommend them. Bella thoroughly enjoyed her stay with Ivan and Betty. I think she was a bit sad to leave them and their two dogs. She was spoiled with lots of walks and company. We loved the way she was treated as part of their family and allowed on the sofa and bed just like she is at home. We would highly recommend this service and we enjoyed our own holiday knowing she was safe and well cared for. Paco had a lovely time whilst on holiday with Pam and Mike. He stayed in August and again in September. Pam & Mike love dogs, having had their own in the past, and seemed to have an intuitive feel for handling Paco. We were confident when we went away that he was in good hands! I felt very happy leaving my dog Daisy in the capable hands of PetStay. A last minute holiday opportunity meant I needed to find a suitable home from home for my small, lively, terrier and Patricia inspired me with confidence from the first time we met. PetStay were very careful to find out about Daisy’s usual routines and habits and ensured that I was entirely satisfied that she would be cared for as if she was in her own home. This enabled me to have an enjoyable, worry-free, holiday. Thank you so much, Lynda and Patricia. I would certainly use PetStay again. PetStay Devon were brilliant; very caring and efficient. Patricia looked after Maggie as if she was her own dog. I would definitely recommend PetStay Devon and use them again. What a lovely couple Wendy and Nick are. They clearly love dogs and Pepper was obviously very comfortable with them from the outset. She looked very well cared for after her weekend holiday and they said they wanted to keep her! I would be very happy to leave Pepper with them in the future. I would also like to say thank you for sorting this stay out for me so quickly and at such short notice. I would be very happy to recommend PetStay. Our dogs Archie and Chloe stayed with Wendy & Nick for a week’s stay last week. They were taken in as if they were in their own home. Chloe made the place her home and Wendy & Nick were more than able to keep up with Archie’s extremely high energy levels and nervous nature. Would thoroughly recommend it to anyone who wants to take a break and wants to make sure their furry friends are in safe hands! We have a wonderful team of carers in Devon and here you can meet just a few of them. They are all passionate about dogs and enjoy welcoming your beloved family pet into their home when you go away, providing all the care and attention your dog deserves. If you are at home during the day and would like to join the PetStay team, please complete the New Carer Enquiry form on the Contact page or call Lynda on 01392 984684 for an informal chat. Eileen lives in an idyllic and truly rural location in Shebbear, West Devon. She has a large 4 bedroom country home with a 2-acre garden. Here she is pictured with her beloved Archie, a very friendly and sociable Newfoundland. Eileen says “I love all animals, especially dogs and Archie loves the company of visiting dogs, big or small. As well as a large garden for play and exploration, we have some lovely walks nearby and a large house with lots of space for dogs who want to chill out on their own”. If your dog would love a rural holiday with Archie, please get in touch for further information. Ivan and Betty are pictured here in their conservatory with their beloved dogs Gemma and Lady. Gemma is a Jackadoodle and Lady a Labradoodle, two very friendly girls who are happy to share their home with a visiting dog. Ivan and Betty live in a large semi-detached house near Cullompton with a nice garden and lots of lovely walks nearby. Well, what a busy summer it’s been! Many dogs have enjoyed their summer holidays with our lovely carers and requests for bookings for Christmas and Easter 2018 are now coming in, so if you’re planning on going away for Christmas, New Year or Easter, please get in touch as soon as possible. We’ve attended several Dog Shows throughout the summer months with our gazebo, some have been big events like Paws on the Beach at Saunton, North Devon and some have been smaller summer fetes and dog shows in villages around Crediton, Tiverton and Plymouth. They’ve all been great fun and we’ve met many lovely dog owners and their beautiful dogs. We’ve handed out a lot of leaflets and given many treats to all those well-behaved dogs (but we love them all, so even the not-so-well-behaved dogs received a treat!). We’ll be attending indoor Christmas fairs and markets during November and December, so if you see the PetStay banners, come and say hello. We would love to support your Christmas fete, so if you’re organising a Christmas fund-raising event at your school, scout hut or village hall and would like us to be there, please give us a call on 01392 984684. We’ll also be recruiting new Carers during November and December to join our team in January 2018, so if this appeals to you, click on https://www.petstay.net/become-a-carer/ to find out more, or give us a call for an informal chat. Do you have what it takes to be a Home Dog Boarder? PetStay Carers welcome dogs into their own homes whilst their owners go on holiday. You would care for the dogs as if they were your own; they would be a member of the family, enjoying all the love and attention that you could give to make sure they had a wonderful, stress-free time. You would enjoy daily walks and do all the things that dogs love eg playing in the garden, brushing their coat, having fun with some tricks, a cuddle on the settee. No formal qualifications are necessary. You must be a genuine dog lover with experience of owning dogs of your own. Your affinity with, and understanding of dogs, will mean that you are a patient, kind and caring person. Looking after someone else’s pet is a huge responsibility and you would want to ensure their safety and wellbeing at all times. The Great British weather means that not all your walks would be in sunshine, but the benefits far outweigh the inclement weather! If you live in an EX or TQ postcode area, are retired or at home during the day, have access to nice walks and would enjoy looking after other people’s dogs, then please click on the link below to find out all about being a PetStay Carer. We are recruiting in the regions of Ottery St Mary, Crediton, South Molton and Barnstaple, but new Carers throughout Devon are always welcome, so please enquire. Paws on the Beach is an exciting annual event for dogs and their owners, which takes place on Saunton Beach in North Devon. Throughout the day there is a huge selection of paw-some activities to entertain both dogs and owners, including a Family Fun Dog Show, The Big Sit (a world record attempt! ), the K9 Factor Dog Talent Contest, plus the only doggy surfing event in the UK with specially trained dogs. Silverton’s next monthly market is being held on Saturday 6th May from 9.30am – 11.30am in the Community Hall in Wyndham Road. The market is just the place to buy produce, cards, bric-a-brac and so much more. Why not come along and see for yourself? We shall be there promoting PetStay’s home dog boarding service and if you’re in the area, please come and say hello. We love exchanging doggie tales! PetStay Devon office address is 5 Churchill Gardens, Zeal Monachorum, Crediton, Devon, EX176EG. For the purposes of data protection PetStay is a data controller (ZA237911). You can verify the details you have submitted to PetStay by contacting us by email devon@petstay.net or by post at PetStay, 5 Churchill Gardens, Zeal Monachorum, Crediton, Devon, EX176EG. Alternatively, you can telephone us on 07739 042249. You can always feel free to update us on your details at any point by sending an email to devon@petstay.net. You can request a readable copy of the personal data we hold on you at any time. To do this, please contact us via email devon@petstay.net.